27 years is a long time. I hadn't been back to my parents' home country since I was a child. This realization struck me as I stepped off the plane at Cheddi Jagan International airport and felt the rush of humid air suddenly dampening my skin. I was in a foreign land. I didn't recognize my alleged cousin (West Indians are quick to ascribe that moniker to anyone remotely connected to the family), but I was grateful for a ride in his air conditioned car. Although very aware that I had not been here for almost three decades, he frequently asked "Do you remember that?" as we headed towards Georgetown. The repeating question made me feel like an impostor. My parents are Guyanese. Yet having no memory of this place, I was definitely American. I would have to remove the idea that this was a trip "home" and view Guyana through the lens of any visitor. Luckily, after only seven days, I found reasons that anyone should take a trip to Guyana. I'm used to heading to Caribbean destinations for a relaxing vacation, but Guyana has options for a weary traveler to sit back and do absolutely nothing. For instance, I was able to dip my feet in crisp, clean black water. No, the water is not dirty. It gets its color from the tannins of surrounding vegetation leeching into the water and feels good between my toes. A former British colony, Guyana's national past time is cricket. Grab a cooler of food and drinks and head over to the Georgetown Cricket Club to take in a match. Much of the city sits below the high tide line. The Seawall protects the city from ocean flooding, but also doubles as an outdoor party venue as many city dwellers can be found hanging out and socializing on a Sunday evening. Yes, the country is near the Equator, but I challenged myself to leave the comfort of my air conditioned room all day. Guyana is dubbed "the land of six peoples" (African, Amerindian or Native, Chinese, Portuguese, European, and Indian) and the influence of each one is still evident. Many buildings in the capital city still have colonial architecture, replete with window boxes where ice was placed to cool the breeze as it entered the home. A popular tourist attraction is St. George's Cathedral in Georgetown, the tallest free-standing wooden building in the world. In the roundabout is the Amerindian meeting place called Umana Yana. The thatched hut historically functioned as a meeting place for the native people to discuss current affairs. 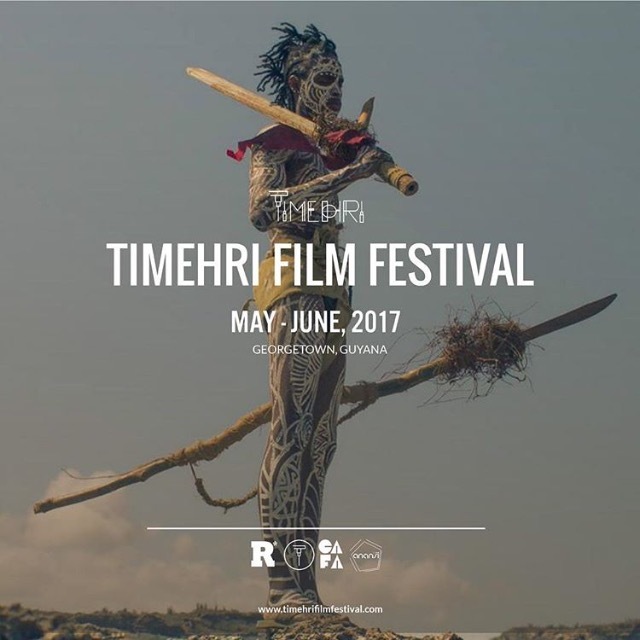 Since then it hosted the first meeting of the Non-Aligned Movement and cultural events including the annual Timehri Film Festival. Not far down the road in the Square of the Revolution is a statue of "Cuffy," the rebel who in 1763 led a slave revolt against the Dutch. The monument was erected 10 years into the country's independence and has looked out on this square for over 41 years. One benefit to having many cultures residing together is the mix of spices and flavors that result in Guyana's delicious cuisine. The Sunday brunch at Herdmanston Lodge on Peter Rose Street offers the best sampling of local fare in Georgetown. I fixed myself a plate of pepper pot, a dark gravy with lots of meat often eaten with bread, boulanger choka (eggplant with peppers and tomatoes), and ground provision (boiled root vegetables and plantain). I had heard about the fabulous Chinese food at New Thriving restaurant on Main Street so I had to check it out. Almost everyone who comes to Georgetown finds themselves here at some point. Why not? The food is fantastic and affordable. Whenever I travel, I like to go where the locals go. That meant visiting Starbroek Market. This is not just a place to buy fresh fruit and fish, but also a place where business is conducted and locals come to share their opinions on current events. Okay, so the iconic clock does not work, but visitors can enter the tower and get an amazing view of the city. Much of Guyana's rainforest remains undisturbed making this an ideal destination for nature lovers. Just 40 miles southwest of Georgetown is Arrow Point Nature Resort. The eco-tourism hot spot offers nature hikes, kayaking, or the more adventurous visitors are welcome to stay overnight in the self-contained cabins to take part in the “creatures of the night" expedition. Ummm, I'm not that adventurous. There's also the best known attraction: the tallest single-drop waterfall in the world, Kaiteur Falls. The expansive park that allows tourists to learn about the country's diverse horticulture while providing the ultimate selfie backdrop. Although I have a familial connection to Guyana, the people here are so welcoming that I think anyone would feel at home here. I could not ask for more hospitable staff at Herdmanston Lodge. I felt like I was driving around with a good friend instead of a tour guide. And each meal, whether prepared in a restaurant or on the side of the road, seemed to be made with love. After arriving as a stranger in a foreign land, I left with a better understanding of my history, my family's traditions, and my culture. Yes, you'd better believe I'll be proudly waving my flag harder than ever and representing the golden arrow head in every Carnival. I would like to thank the Guyana Tourism Authority and Mr. Luke Johnson of Eco Travel for making this a memorable experience for me. See you again soon!